Prior to the debut of Kanye West’s latest collection, Sia took the opportunity to tweet the rapper and designer: “Would you consider going fur free?”. “This is the reality of fur for fashion - it’s so sad,” she added, attaching a link to a YouTube video titled “Under the Fur Coats: Rabbits’ Screams of Death”. Ye’s Yeezy Season 5, his collaboration with adidas, was unveiled at Pier 59 at New York Fashion Week. The show saw the return of his signature merch style and military influence, as well as a departure from his usual muted palette to include dark reds and blues, and Halima Aden, the first hijab-wearing model signed to IMG, walked the runway in a large fur coat. 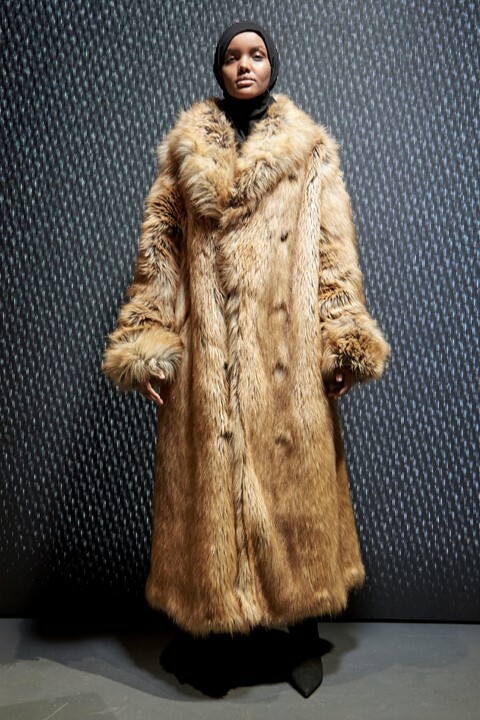 The Yeezy collection featured huge fur coats and accessories, but Vogue reports they were faux. Read more about the latest Yeezy collection here.